Thank you for visiting us at the NYT Travel Show! Zulya Rajabova and Silk Road Treasure Tours Team would like to sincerely thank you all for stopping by at our booth at the New York Times Travel Show this past weekend. We thank you for the genuine interest in visiting Central Asia and the Caucasus Silk Road Destinations. We also hope that you have got a glimpse of our culture and enjoyed the performances at Asia Stage and traveled through the Silk Road from the comfort of your seats. 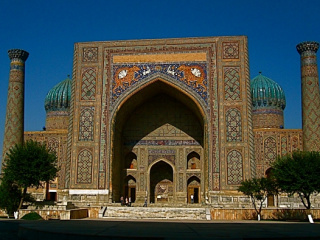 Ready to add Silk Road travel destinations to your bucket list? Well, it's time to step into the pages of history and legends, visit the UNESCO sites and experience the warm hospitality of Central Asian people. "We enjoyed our Central Asia travel & can't wait to visit spectacular Caucasus..."
NYT Travel Show Special Offers Extended by February 10, 2018. 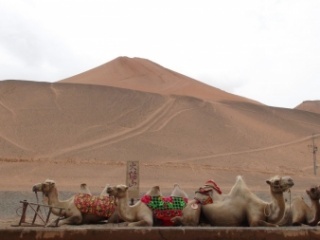 Join us this spring or fall for the once-in-a-lifetime experience to the Silk Road. Can't wait for your next travel adventure? Come on down to the New York Travel Show and see us. Silk Road Treasure Tours is an award winning tour operator for Central Asia and the Caucasus, and will be participating in this annual travel extravaganza January 26 - 28, 2018 at the Jacob Javits Convention Center in New York city. Find us at Booth #256 in the Asia section. The theme for 2018 is "15 Years of Uncommon Adventures". As we celebrate Silk Road Treasure Tours’ 10th anniversary, we think we've got that just about covered! Join us for Conde Nast Top Travel Specialist Zulya Rajabova’s presentations on the Asia Stage on Saturday, January 27th at 2:15 PM and again on Sunday, January 28th at 12:45 PM. At the "Meet Experts" conference our Top Travel specialists will give you insider tips for extraordinary travel to destinations all along the Silk Road. The New York Times Travel Show gives us an opportunity to extend special offers and discounts to our colleagues and clients during the show! See you there! 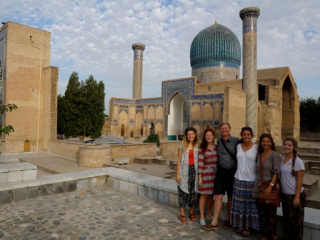 Silk Road Treasure Tours offers 12 % discounts to Travel Agents, their friends and families for travel to Central Asia, the Caucasus and China10th anniversary, we think we've got that just about covered! The NYT Travel Show always a good time, meeting friends and colleagues, watching musical artists from Central Asia and the Caucasus on the stage, and hosting clients to plan their next great adventure to destinations along the ancient Silk Road routes. On January 27-29, 2017 New York City will once again host the largest travel show anywhere and Silk Road Treasure Tours will be there! Mark it on your calendar, get information here http://nyttravelshow.com/ and join fellow travelers, experts and exhibitors from around the world to find the best deals and the perfect destinations. From tried and true favorites to off-the-beaten path adventures, Silk Road Treasure Tours can help make your travel dreams a reality. Special celebrations or personal interests, luxury or niche focus, group or independent travel – we are THE specialists in Central Asia, credited with being the best in our field once again this year by Condé Nast Traveler and travel guru Wendy Perrin. Thousands of years of history, culture and tradition, some of the most incredible landscapes on the planet and the warmest welcome you’ll ever find are waiting for you. Make 2017 your year to experience the trending destinations along the ancient Silk Road routes of Central Asia and China, Iran, Mongolia, the Caucasus, and beyond. Join us for our presentations on the Asia Stage on Saturday, January 28th at 2:15 PM and again on Sunday, January 29th at 1:45PM. 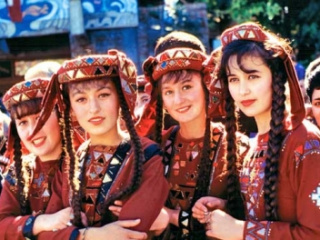 Zulya will take you on a cultural trip through the Central Asia Stans of Uzbekistan, Kazakhstan, Kyrgyzstan, Tajikistan and Turkmenistan featuring regional costumes, music and dance. 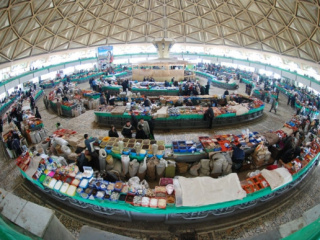 Book your Uzbekistan tour with Silk Road Treasure Tours during the show and save $500 per person! Win Uzbekistan handmade embroidery and wood carving items during the New York Times Show Travel Show. Lynn Gilbert, Fashions of the time, Tashkent, Uzbekistan, 2015Explore the amazing history of Central Asia and the Silk Road; its cultures and traditions and magnificent historical sights through a multi-­‐media presentation. Come enjoy the ritual of tea ceremony, haunting music and beautiful dance, displays of traditional and everyday artifacts, costuming and handicrafts; silks, carpets, embroidery, and jewelry, along with photographs of stunning mountain ranges, glittering alpine lakes and vast stretches of steppe and desert. Presented by Zulya Rajabova, a Silk Road educator and travel expert. Once the main thoroughfare between eastern Asia and the West for pilgrims, merchants, and conquerors, the Silk Road routes hold a rich reward for the curious. 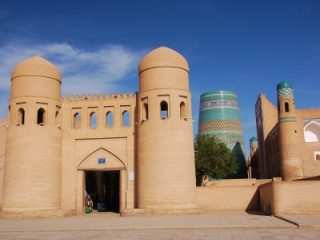 Over thousands of years of history and representing a wide mix of ethnicities, religions, and traditions, the merchants of the Silk Road traded not just in goods, but also in culture and knowledge. Long hidden from the West, the countries of Central Asia along the fabled route have emerged from Soviet rule as autonomous nations. 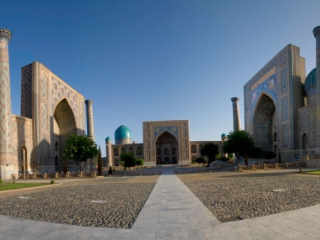 In 2016, as each of these states celebrates its 25th anniversary of independence, Turkmenistan, Uzbekistan, Tajikistan, and Kazakhstan are taking on identities as strategic economic and political players and the newest destinations for adventurous travelers. 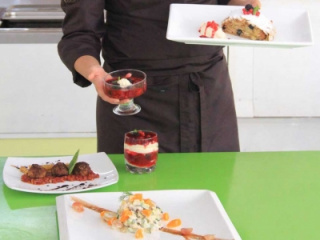 Tuesday, October 20, 2015 - 6:45 p.m. to 8:45 p.m.